Strengthen your natural defences before winter with Api'Actif Concentrate. Made with concentrate grapefruit seed extract organic propolis, manuka honey and organic thyme, all the key natural ingredients to keep defenses up. 60ml. 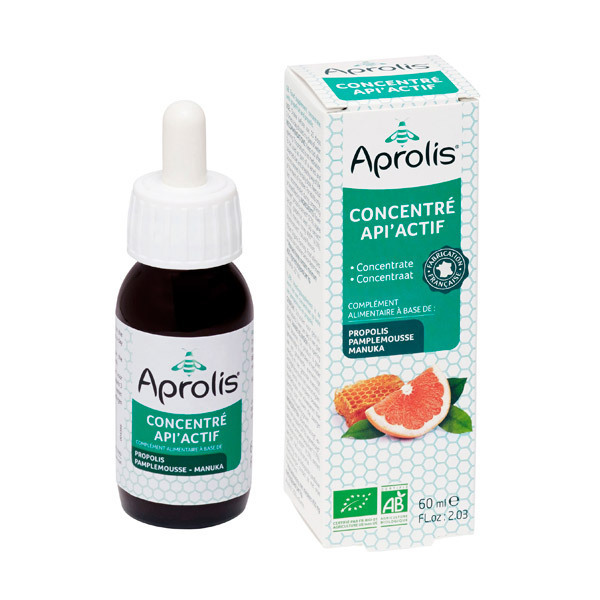 - With seed extract organic grapefruit, organic propolis, manuka honey and thyme bio, the Api'Actif concentrate helps you strengthen your natural defenses.